Tomorrow, 1956 Civil Defense Special on ABC. 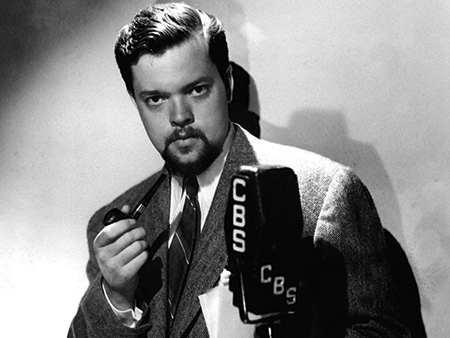 Orson Welles narrates this imagined story of the United States under atomic attack. Unidentified AFRS Lacquer Recording. No information about this recording except that the disk was found amongst some Armed Forces Radio Service material. The disk is filled with music from what sounds like a Hollywood Studio orchestra and was probably used as filler. Each cut is prefaced with a harp interlude. Alec Templeton Summer Program, 1939, Johnson Wax Summer Replacement for Fibber McGee and Molly. 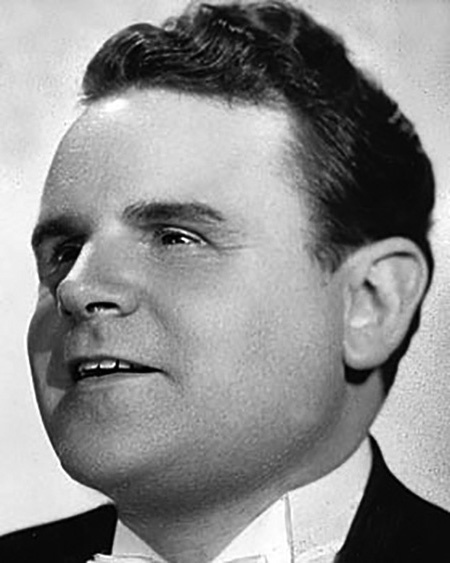 Templeton is a blind Welsh composer and recording artist. The program will be picked up for regular broadcast as Alec Templeton Time sponsored by Alka Seltzer. 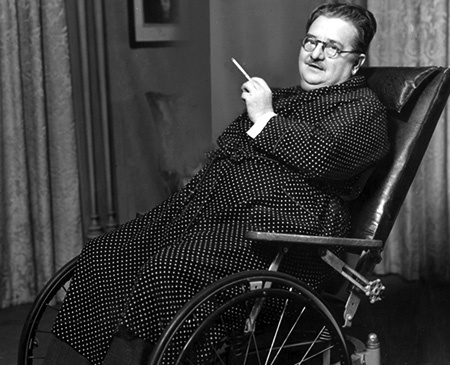 Alexander Woollcott's The Town Crier. 1933 CBS. The famed critic and commentator is given a showcase to reminisce and comment on music from the previous decades. Alf Landon Addresses Kansas Young Republicans, 1936, Red Network. Republican stalwart and governor of Kansas, Landon was nominated by the GOP to run for President in the '36 race when FDR defeated him by a landslide. The Amazing Mr. Tutt, 1948, CBS legal drama. A no-nonsense Yankee lawyer who knows human nature as well as he knows the law and uses that knowledge to bring justice to the little man. An Evening with Romberg, 1945, NBC orchestral music. First airing as a summer replacement for The Red Skelton Show, the program with its 58-piece orchestra showcased "operatic arias, short symphonic works, and overtures to popular songs, light classics, dance music and even a bit of outright jazz." Bands for Bonds, 1949, Mutual for US Savings Bonds. A different band each week making a pitch for Savings Bonds, this episode features Ed Farley and his Orchestra. 1948 Ohio Basketball, Canton High School vs Central Catholic and the Lehman Polar Bears vs the Lincoln Lions. Ben Bernie War Workers Program, 1942, CBS sponsored by Wrigley's Chewing Gum. Music and comedy with a hard pitch for gum chewing for Defense Plant Workers. Burkhart Request Round-Up, 1950, WHBC Canton, Ohio, Cowboy Music. Straight from "the Rhythm Ranch", listeners were asked to write in their requests, sponsors by Akron's Burkhardt Beer, "From the Heart of the Hop". 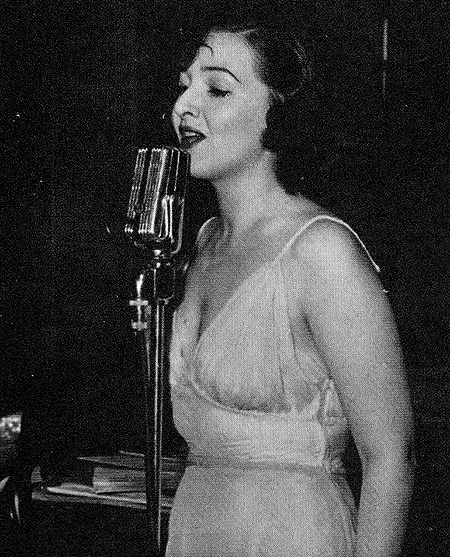 Carlotta Dale Interview, 1971, Lou Dumont interviews big band singer Carlotta Dale about her experiences singing on the radio with her own show in 1935 Philadelphia and on the road with Jan Savitt and the Top Hatters. The Carol Adams Show, 1949, Ladies talk show over Independence Day, Carol discusses new ways to use pancakes. Cheerio, 1935, KGO San Francisco, morning talk show discussing the music of Richard Wagner. The Corner Newsstand, 1948, audition program, news commentary in the form of a drama at a local newsstand with passers-by discussing the headlines. 20 The Countdown Magazine, Weekly countdown of the most popular contemporary Christian hits hosted by Brother Jon Rivers. Dr. Springer Show, 1934, Brunswick Transcription, "The Facts of Life and How to Live It". Moralizing Curtis Springer comes to you from the "Health Laboratories in Chicago". The AMA later calls Springer "King of the Quacks". D-Day Plus Twenty, 1964, Coverage of the Allied Invasion of Europe twenty years after the event, the program features historic recordings to tell the story of WWII. The Dixie Four, 1949, Mutual, Indianapolis origination, Four-part harmony with piano accompaniment. Don Wright Chorus Mutual, London, Ontario origination, fourteen voices blending together in new arrangements of familiar songs. Dwight H. Green, 1940, stump speech about unemployment by GOP candidate for Governor of Illinois. Eddie Le Baron and His Continental Orchestra, 1948, ABC, Sophisticated rhythms in this dance band remote from the Tropical Room in Hollywood, California. Expectant Father, 1946, audition show, game show at the very beginning of the Baby Boom featuring first-time Dads who are interviewed and given an amusing task to perform. Fantasy, 1947, Audition Program, "Entity from the Void", the program is designed as an alternative to the murder mystery programs with a science fiction/fantasy story. Hunting and Fishing Club, 1949, sponsored by Mail Pouch Chewing Tobacco, a panel of outdoorsman answer mail-in listener questions. Frank Knox Speeches, 1936, GOP Candidate for Vice President accepts the nomination and later stumps for the Landon-Knox Ticket in Wisconsin. Knox will become FDR's secretary of the Navy. Funtime, Morning children's program with games, music, and a story hosted by Dorothy June. Replacement program for Wisconsin School of the Air. Guess Who? 1946, WOR New York, Quiz show sponsored by Sheffield Farms Milk hosted by Happy Felton. 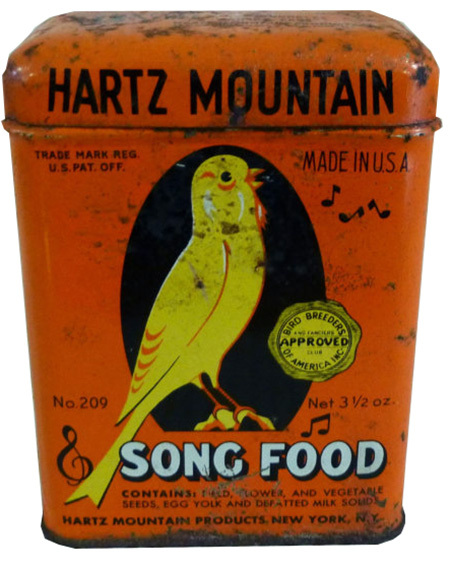 Hartz Mountain Canary Pet Show, Music and pet stories from the famous pet food company, the music is accompanied by live canaries. The Haunted House of Song, Audition show, KNBC San Francisco, spooky music and listener contest to identify recording of famous-but-dead people. Be the first to comment on "Random Rarities 25"